Spotify has upped the ante and has added video content to their app, still named Spotify Music. The update comes after months of speculation and an announcement last summer that the company would be moving beyond just music. The update is hitting Android this week while iOS users of the service will have to wait an additional week. Now when you open the app, you have a video section that allows you to view content from a range of providers. Right now the content is limited but it is expected to grow as other providers get signed up. Right now you can get content from ABC News, Adult Swim, Comedy Central, NBC Entertainment and ESPN. You will also notice that there is a podcast section in the app (under Browse) that brings several audio podcasts. So far there are no video podcasts but that is expected to change as well. Like the video content, the podcast selection is pretty slim at this point. 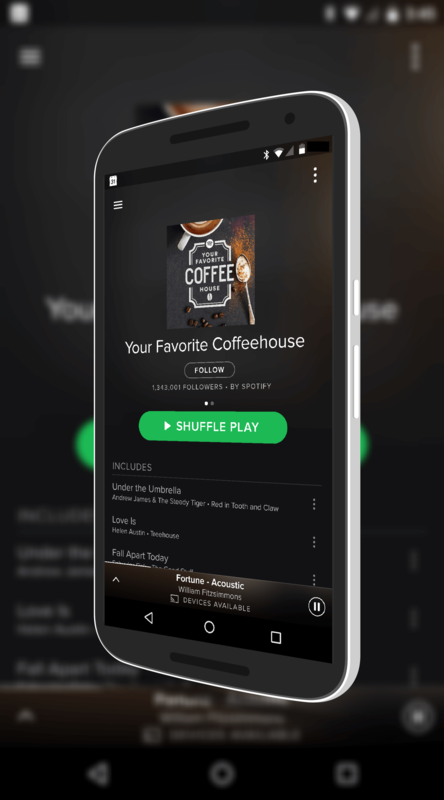 The battle for your dollar on streaming music and video has continued to percolate over the last year or so with multiple companies getting into the game that was once really a few players, Spotify being one of them. Now with the likes of Apple, Google and others in the mix, the competition is rampant which really makes it better for consumers. You get more choice. Spotify does offer an in-app purchase of their premium service. It is $9.99 per month and allows for offline listening and unlimited ability to skip songs. They also offer a family plan starting at $19.99 per month for 2 additional people all the way up to $29.99 per month for an additional 4. This is considerably more expensive than Google Play Music’s family plan at $14.99 per month for 6 users.